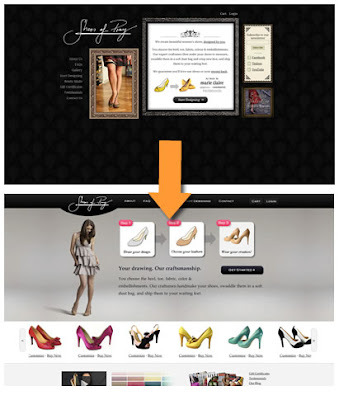 Last week the Shoes of Prey office was a hive of activity as we redesigned our website in less than 1 week. The goal of the redesign is to improve our conversion rate, which is currently less than 1%. Starting on Monday, not only did we produce the new site from a rough prototype, all the way to launch, but we also commissioned a fashion shoot organised in a few days, and shot on the Friday. It was truly a massive week! The website is now brighter, and more "e-commercey". The new layout also gives us more room to implement some new features to help our customer make a purchasing decision, as well as improving our consumer trust. In particular, we've decided to make our shoe detail page easier to use, with more information about shipping and returns. 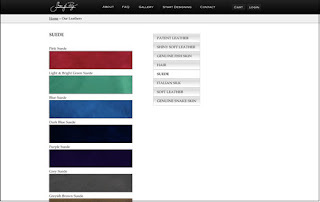 We've also reorganized our leather page slightly, and we're currently producing a range of videos that will explain each leather category. We'd love your feedback about the new site. What are some of the things you'd like to see us improve? Hey Mike, I think that the biggest thing that would make a difference to conversion rates is the 'cartoony' look of the designer. I would guess that if it could be set up so that the custom designed show looked more like a photo than a drawing your conversion rates would improve. Very very curious to hear what happens! This whole idea of darker = more expensive is still stuck in my head from the last redesign, but then 95% of ecommerce sites are white... I wonder! I enjoy following Shoes of Prey's progress.